In 2008, Bruno Curko and Ivana Kragic started their experimental program of philosophy for children in the private elementary school “Nova” in Zadar, and in the elementary school “Stjepan Radic” in Bibinje. Next year, after the successful experiment known as “A look at one’s own thinking”, they founded the association “Petit Philosophy“. The program consists of 35 workshops for the whole school year for pupils of third and fourth grade of elementary school. It is implemented through Power point presentations that are made in a form of a comic in which animated teachers, such as Sophia the Owl, Pak the Crab, Malik the Deer and others have an important role and ask children fundamental questions about tehe subject, and in this way motivate the pupils to in a fun and structured manner think about a given subject. The workshops also make use of didactic games, riddles and well known children’s stories adapted for mentioned age groups. The recent work has shown that the implementation of the project has had a positive influence on the development of these characteristics, abilities and skills in children: openness for different opinions, tolerance, understanding, and ability to discuss. Their psychological potentials were developed (intrinsic motivation, self-initiative, independence, self-esteem), and so predispositions were created for their lifelong learning and development. The project has around 200 to 300 participants every year, and some 20 workshop leaders and volunteers who work on the implementation of programs of Petit Philosophy in elementary schools, public libraries and organizations. The leaders are mostly teachers and students who attended the philosophy for children training, and who have since then been improvig their knowledge of practical philosophy. The project Scientific Incubator aims at popularization of science among high-school students. It provides active participation in scientific research, introducing the students to its basic methods and the principles of scientific integrity. The interdisciplinary and pluriperspective approach to problem solving raises awareness on the importance of critical thinking and innovative strategies in facing scientific challenges. The project’s aim is to motivate students for scientific work and to encourage their initiative, independence of thought, self-criticism, and responsibility. 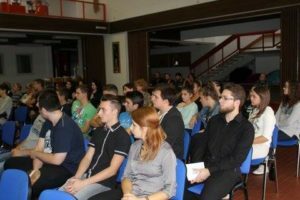 The central activity of the project is presentation of results of the research conducted by students of several Croatian high schools during the project’s earlier stages, as well as their participation in the scientific symposium that will be held in the framework of the Cultural-Scientific event – Days of FranePetric. In addition to regular activities of the scientific symposium, students will also participate in workshops and public lectures. Babel, Bruno Curko, Mira MatijeviC, and Ivana Zagorac. The realisation of the project is supported by the Croatian Ministry of Science, Education and Sports, Ministry of Regional Development and EU Funds and Primorje-Gorski Kotar County.